Thanks to support from the Kavli Foundation, the science program at every AAS meeting gets under way on Monday morning with the Kavli Foundation Lecture by a distinguished astronomer. 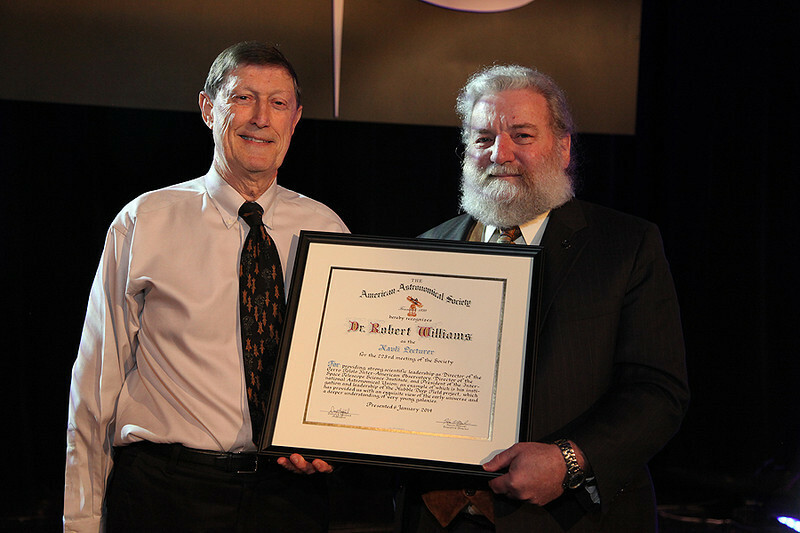 In DC the honor went to Robert E. Williams, former director of the Space Telescope Science Institute, whose presentation was entitled "The Hubble Deep Field and Its Legacy." Williams was introduced by AAS President David Helfand (Quest University Canada).